I ca not believe how quickly this week has gone. You may have noticed over the past few days, I have been very quiet on the blog? This time last week we were having fun, eating loads (sorry diet) and staying in the wonderful Wave Hotel at Butlins in Bognor Regis. 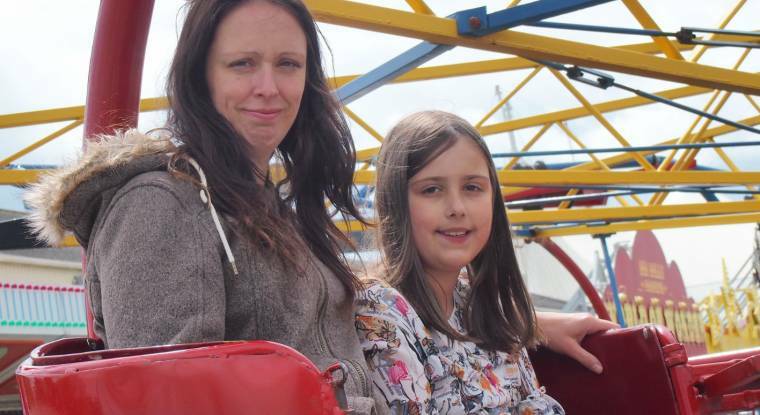 We have had an amazing time over the Bank Holiday Half Term holidays, on our Butlins Ambassador break. As a family we all love Butlins, having been going for over 20 years. Perhaps more frequently in the last 5 years. We knew we would be in for a great time, with nearly everything all under one very big roof. When the Summer months roll round we always look for a short break. A visit to Butlins being a nice treat. We have always stayed in the apartments, never the Hotels. This year then was a different experience altogether. We got to stay in the beautiful, unique, underwater themed, Wave hotel. How cool is it using an elevator with a Jaws theme playing? or the very catchy song We all live in a yellow submarine. Great underwater themed bedrooms (review coming soon on the Wave hotel) and a games port room full of the latest games entertainment. You can imagine the children and hubby too, were in their element. How sweet are the elephant towels? The submarine themed children bedrooms went down great with the children. How cool are these? They also have a TV at the ends of the beds, makes going to bed even more exciting. Something new this year was a 1950s diner. Hot dogs, burgers, salads and shakes all ready to order! With its Rock n Roll theme and 50s fairground inspired tables. The Sun may not have been out much last week, ordinarily that is always a disappointment, however, at Butlins you are never short of something to do. Come rain or shine. This weekend I have been worn out with the 5 days of packing in as much as possible, day and night. You seem to be non-stop with one thing and another. Checking the schedule entertainment guide one evening I realised although I was exhausted there were loads of things we missed. They can be for next time I thought. 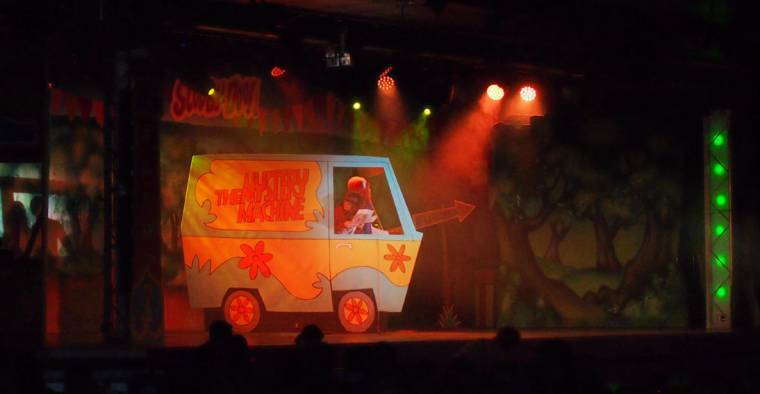 There is so much to do inside Butlins you never need to leave the resort. Another new feature was Scoop ice cream parlor. 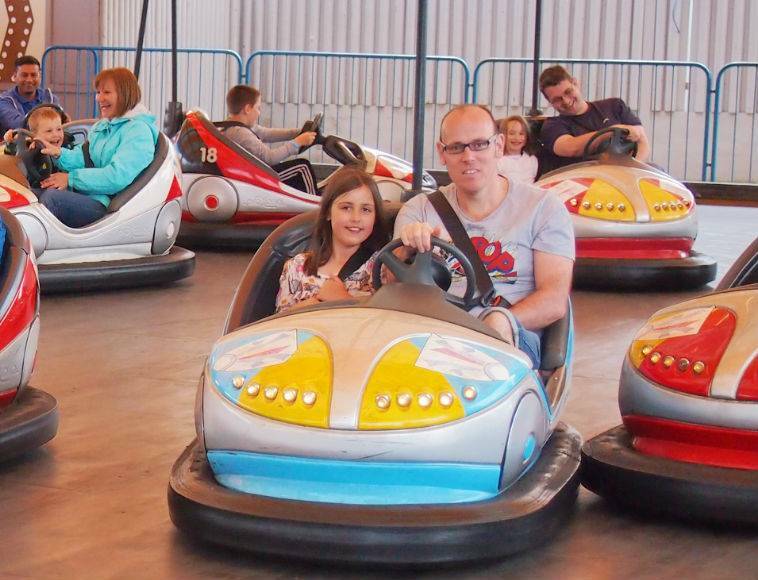 One of the things we love about Butlins is once you’ve paid to go on, the rides (apart from a few) are all free. No need to worry about keep paying the children can just run to Helter Skelter to dodgems and enjoy the fair. Me and mini me enjoying the Paratroopers, or should I say my daughter laughing at how scared I got!! As I said we missed loads too. There are only 24 hrs in a day. Trust me you will need your sleep!! 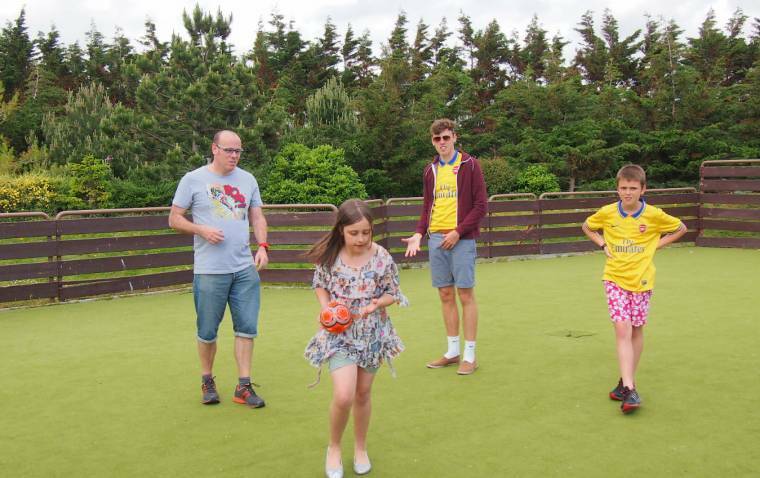 The kids love a kick-about. My boys spent hours on the sports courts each day, they loved it. My daughter occasionally decided to run off with the ball!! Overall we had a great week, watch out for lots of reviews this week. 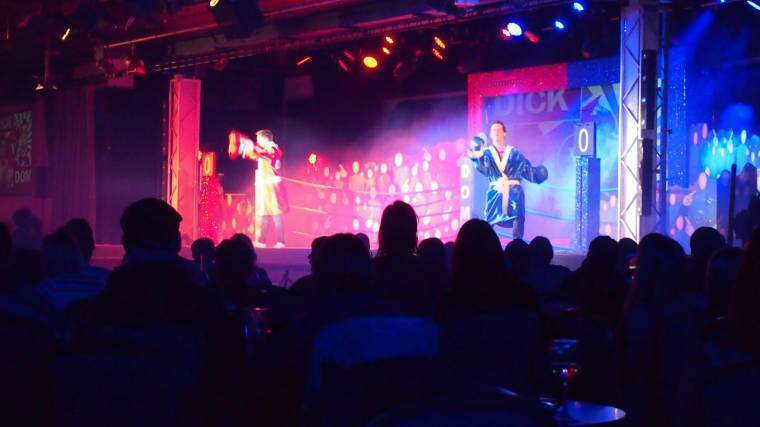 Thank you so much, Butlins for choosing us as Ambassadors this year. We loved every minute of our stay. "Me And Billy Bear : Creative Mondays Blog Hop…"
It looks like great fun and the fairground and under the sea themes look beautiful – both modern and traditional.